Victor J. Otten has been a licensed attorney for over 19 years and is the firm’s senior partner. Mr. Otten’s practice now focuses on complex civil litigation, real estate law, environmental and land use law, business law, equine law, criminal defense, and related matters. Prior to forming Otten Law, PC – Attorneys, Mr. Otten worked for Carmen “Nuch” Trutanich where his practice focused primarily on environmental litigation. Mr. Otten then went on to work for Trutanich-Michel LLP as Special Counsel from 2000 through May 2009, where he handled complex business, environmental, real estate, and landlord/tenant matters in state and federal courts from inception through trial and appeal. During this time, Mr. Otten worked on several high profile cases and clients which gained the firm media attention. He obtained a published appellate opinion in the case Michel v. Moore and Associates Inc., Case No. B183165, addressing disclosures in the real estate context and was selected as an Environmental Super Lawyer, Southern California Super Lawyers Magazine, in 2009. 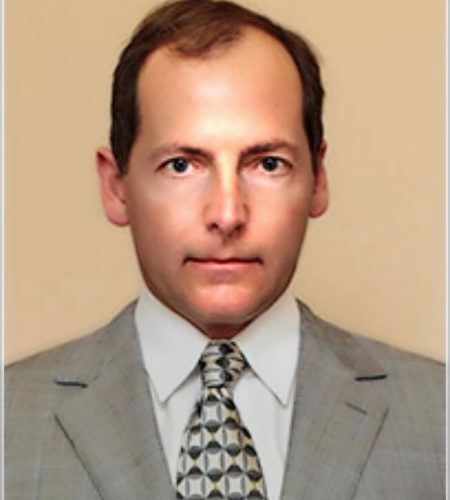 After Mr. Trutanich was elected Los Angeles City Attorney, Mr. Otten worked for Michel & Associates as Special Counsel from June 2009 until mid-October 2010. From 1994 through 1996, Mr. Otten worked for Joseph Fedorowsky and Associates where he represented indigent tenants against slum landlords in actions alleging violations of state habitability laws, mold exposure and civil rights violations. Mr. Otten handled cases from inception through jury trial. During and after law school, Mr. Otten was employed by the Los Angeles defense firm of McGarry, Laufenberg & Raders where he defended personal injury claims including those related to asbestos exposure. After being admitted to the Bar, Mr. Otten acquired trial experience prosecuting criminal cases for the City of Torrance. While in law school, Mr. Otten clerked with the Los Angeles Municipal Court where he conducted legal research and drafted tentative rulings on law and motion matters. He also clerked for the nonprofit environmental “Surfrider Foundation’s” general counsel, Mark Massara. Mr. Otten resides in Palos Verdes California where he enjoys surfing and riding his two mules Jessie and Ruby. He is an active member of the equestrian community and currently writes for the Equestrian Times and Mules and More Magazine. Gathering the Facts: FOIA, California Public Records Act & Aerial Photos, Workshop on Global Warming Law, Clean Air Act and Clean Water for Environmental Activists, Loyola Law School (March 7, 2009). Toxics (RCRA CERCLA, TSCA, FIFRA, California Analogs), Workshop on Land Use & Global Warming Law for Environmental Activists, Loyola Law School (March 22, 2008). Workshop on Land Use & Global Warming Law for Environmental Activists, Loyola Law School (March 20, 2008). Defended oil company in complex CERCLA/RCRA action involving $30 million in environmental clean-up costs with nine current defendants and 20,000 PRPs. Built PRP database with more than 600,000 documents. Negotiated a $25,000 settlement in action against dry cleaner by landowner for PCE contamination to soil and ground water where the cost of remediation was estimated in the range of $330,000 to $500,000. Handled environmental regulatory compliance for surfboard manufacturers, surfboard repair facilities, and manufacturer of polyurethane foam core. Defended surfboard manufacturer against alleged OSHA violations. Represented non-profit corporation and citizen’s group in high profile case against City of Palos Verdes Estates in action related to surveillance camera installed to monitor beach activity in violation of the California Environmental Quality Act (CEQA). Represent citizen’s group in high profile case related to a proposed expansion of a golf course and housing development in Rolling Hills Estates expected to cost $350 million dollars to develop. Co-authored winning appellate brief that set aside $587,000 judgment in personal injury action against client. Negotiated dismissal of $1.5 million action against business owner brought by ousted partner. Represented business in trade secret action brought against former employee for stealing company IP. Negotiated with prosecutors to prevent involuntary manslaughter charges against refinery contractor for accidental death. Represented client’s employees during depositions in related wrongful death action. Represented demolition company in California OSHA action related to a workplace fatality, settling matter for a nominal fine with no criminal filing. Obtained dismissal of action against Superior Court Judge in action by City of Torrance for Trespass, Nuisance,Ejectment and land use issues related to structures encroaching on city property. Represented indigent family in lawsuit against landlord who refused to make basic repairs, including mold remediation, and negotiated a settlement of $186,000 plus overpaid rent.